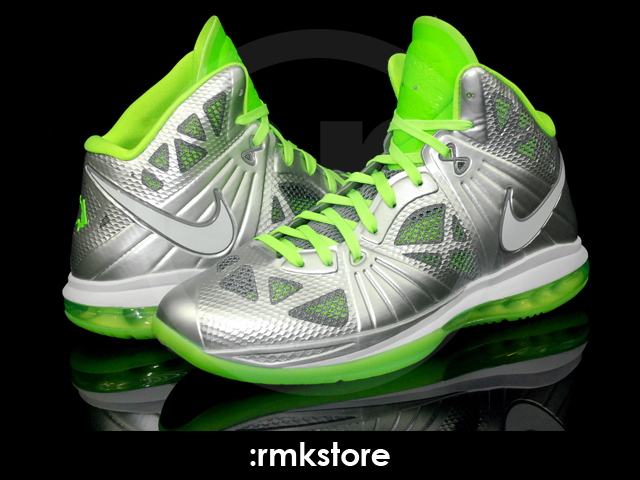 The LeBron 8 P.S. 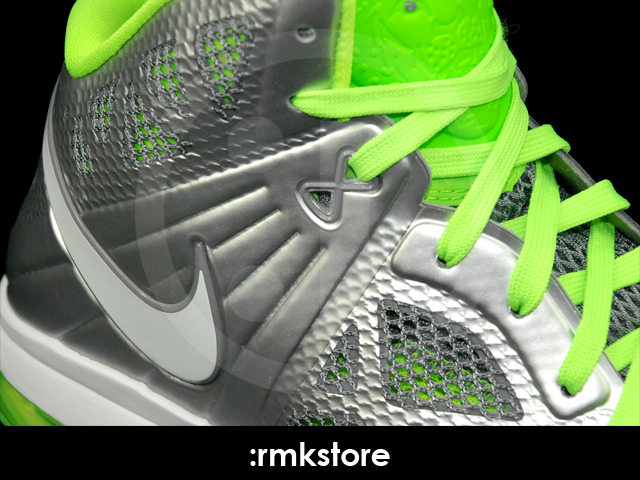 will serve as the silhouette for this season's "Dunkman" shoe. New Images inside. 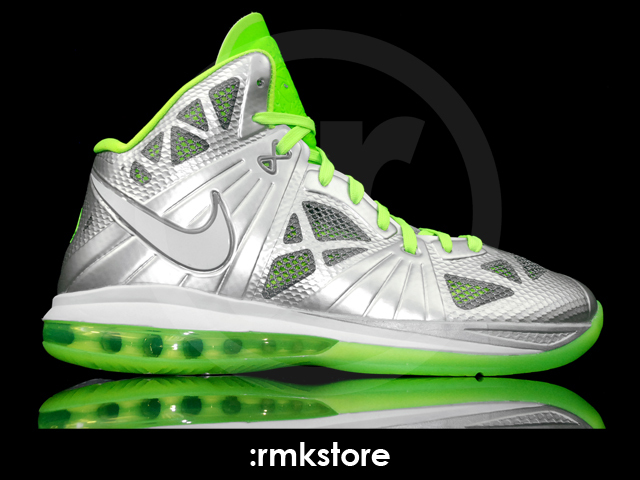 After months of anticipation, we finally got our first look at LeBron's "Dunkman" shoe for this season late last month. 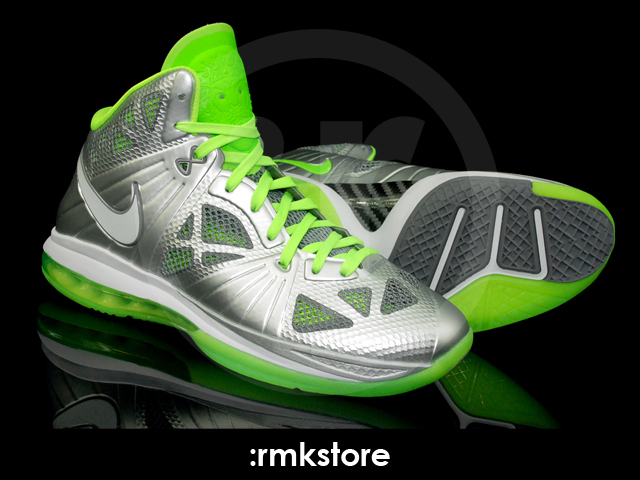 The silhouette of choice is the upcoming LeBron 8 P.S., which sports the familiar Dunkman look, but in a style we've never seen before. 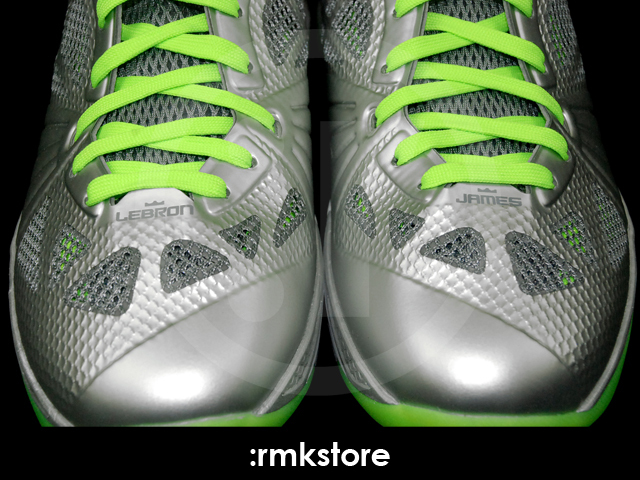 The shoe features a metallic silver Fused composite upper heavily accented by neon green on the inner lining, tongue and laces. 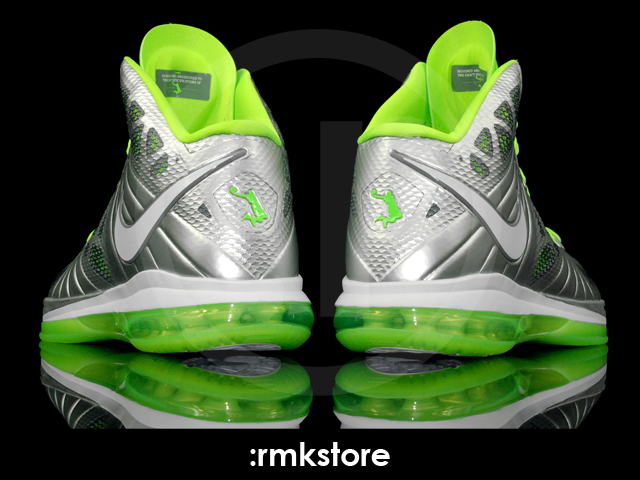 LeBron's Dunkman logo replaces his signature on the heel, while white takes care of Swoosh branding on the lateral ankle. 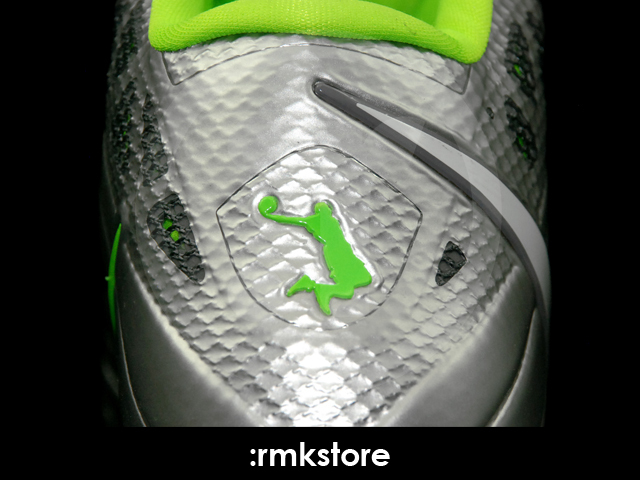 Below, a neon green 360-Air bag sits above a grey rubber and semi-translucent green outsole to finish off the look. 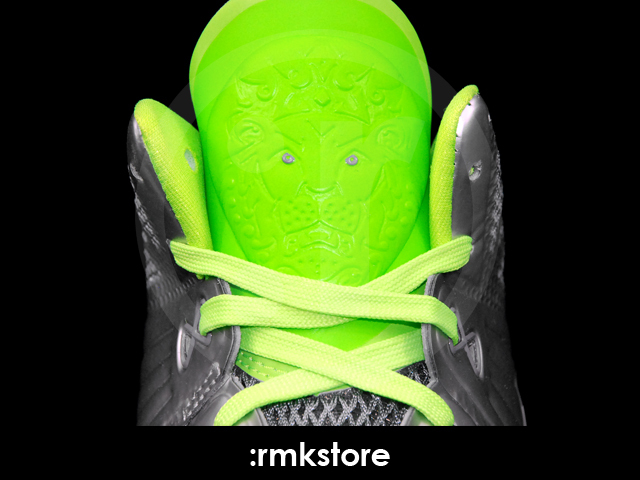 We'll continue to update you about this release here at Sole Collector.